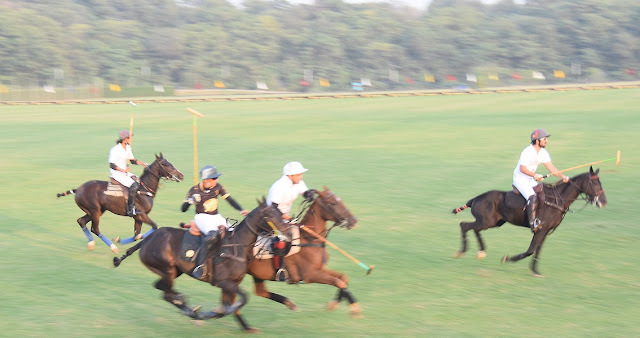 The Jazz Polo Tournament, which took place at the Islamabad Club’s Polo Ground, concluded with Team Jazz Gold taking home the trophy. The tournament was in line with Jazz’s promise to empower societies by providing relevant resources to guide them towards success. 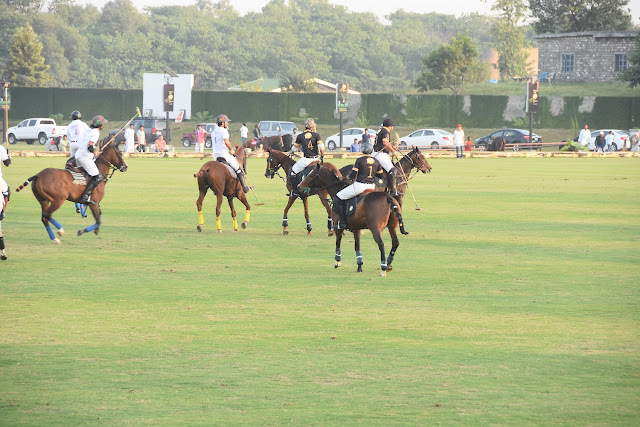 Jazz Gold, a brand for premium customers, organized this polo tournament in collaboration with Islamabad Club to promote the ‘Game of Kings’ and build an affinity with the brand. The four team tournament, consisting of both local and international professional players, got underway on the 19th of October, 2016 with the final taking place on the 23rd of October, 2016. Two goals by Jazz Gold’s Aun supported by a half-goal handicap helped the team narrowly edge out Team 4Horsemen with the final tally being 4 ½ - 4. 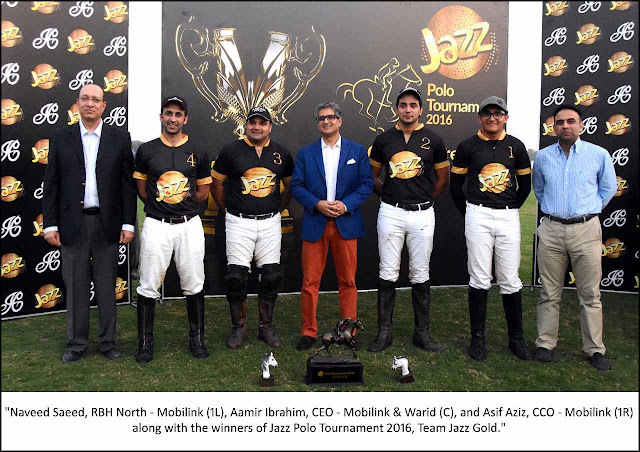 Prizes were distributed amongst the participants at the closing ceremony, before the trophy was handed over to Team Jazz Gold by Aamir Ibrahim, CEO – Mobilink and Warid.